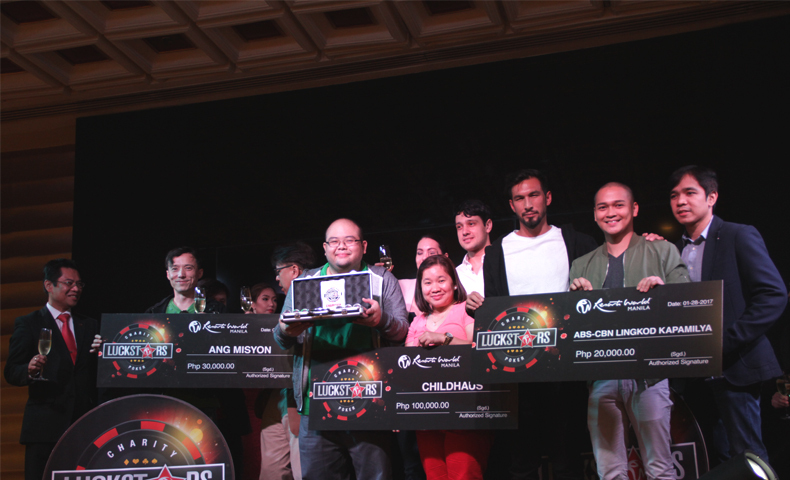 Advocating the arts and culture, social development and environment sustainability, LuckyStars Charity Poker chose ABS-CBN Lingkod Kapamilya Foundation-Bantay Kalikasan as one of their beneficiaries during the recent annual Resorts World Manila LuckyStars Charity Poker Tournament Event. “We want to promote responsible gaming and poker as a real sport. We want to encourage giving back to the community.” Owen Cammayo Director for Corporate Communications of Resorts World Manila.